If you are planning a new fitness regime, need to maintain your existing programme, or simply need to loosen up after a hectic day exploring town and temples, So Fit is your destination. This Siem Reap fitness centre near to the swimming pool is fully equipped providing everything you need in the most pleasant of air-conditioned surroundings. Work on some muscle toning or book a relaxing yoga class. Get onto the cardio equipment and check your fitness levels. Use the exercise bike or running machine. 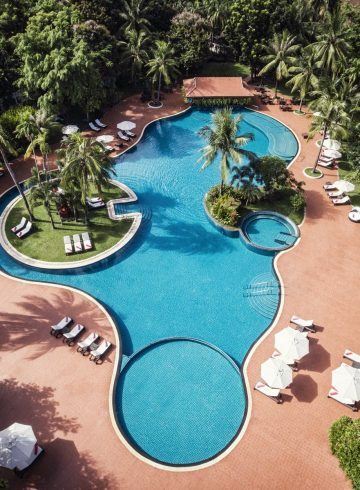 Cool down by taking a dip in the swimming pool, where you can enjoy a refreshing drink at our swim-up Serpent Bar. 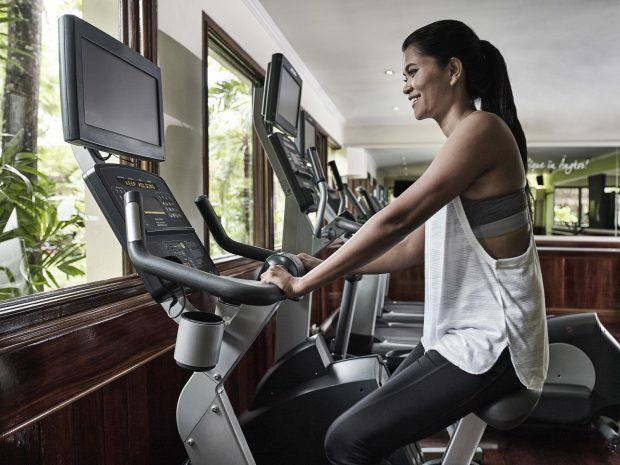 Become a member of our Siem Reap fitness club and enjoy 24-hour gym access and exclusive benefits across a range of services. All members benefit from discounted spa treatments, access to our steam room, sauna and swimming pool. Additionally, the programme offers exclusive discounts at our golf course, laundry service, and restaurants. If you are staying at Angkor for any length of time, So Fit is your Siem Reap gym.